Burn Black got this geek Apple Tattoo on her finger “for a laugh so when PC users give me grief I could flip them one off with a cute retro apple logo stuck on my finger. Helps if you live in a household that has fierce Mac Vs PC rivalry.”, she says. This geeky tattoo was inked by Triplesix Studios, Sunderland. Royal Dirty Clown submitted this picture on flickr. It is a Yanomami indian girl, Amazon rain forest, Brazil. Denis owner of “Live Once Tattoo & Body Piercing”, 2021 Algonquin Avenue, North Bay, Ontario, inked this amazing new school DNA tattoo. A DNA tattoo would surely fascinate many tattoo aficionados who are in search of designing different DNA structures on their skin. WHYcagr1 submitted this video of amazing body modification pictures on Youtube. Getting rid of tattoo regrets is made easier with the introduction of a cream called Rejuvi, which is injected into the skin in much the same way as the ink is injected into the top layers of the epidermis to create the tattoo. Here, instead of ink a specially formulated cream, Rejuvi, that bonds with the original tattoo ink and attempts to draw it to the skin surface. However, Rejuvi Labs claims that a tattoo may sometimes be completely removed in just three or four sessions let’s see what people have to say after they use it, till then we can just wait and watch. 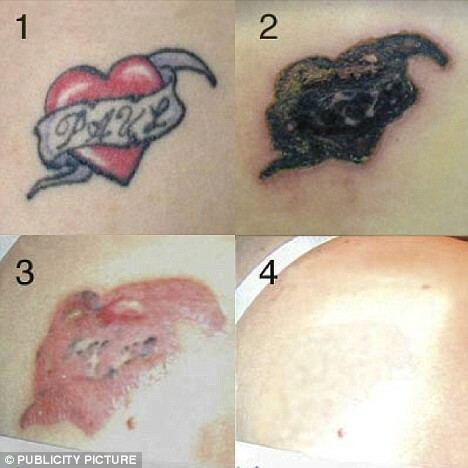 The formula is less painful than any other tattoo removal methods.